The Games Monitor 2015 presents an overview of the economic development of the Dutch game industry between 2011 and 2015. Besides number and size of companies, jobs and game students, the report looks into the trends and developments for applied and entertainment games in the Netherlands. Analysis of a survey and discussions with experts were used to provide a more in-depth analysis of the challenges the industry faces to achieve growth. To put things into international perspective, the Games Monitor also presents some findings for other European countries. The Games Monitor is made possible by the program Growing Games. 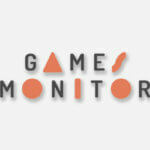 The Games Monitor is a collaboration between Dutch Game Garden, Dutch Games Association, Control Magazine, Economic Board Utrecht, and research partners TNO and NEO Observatory.